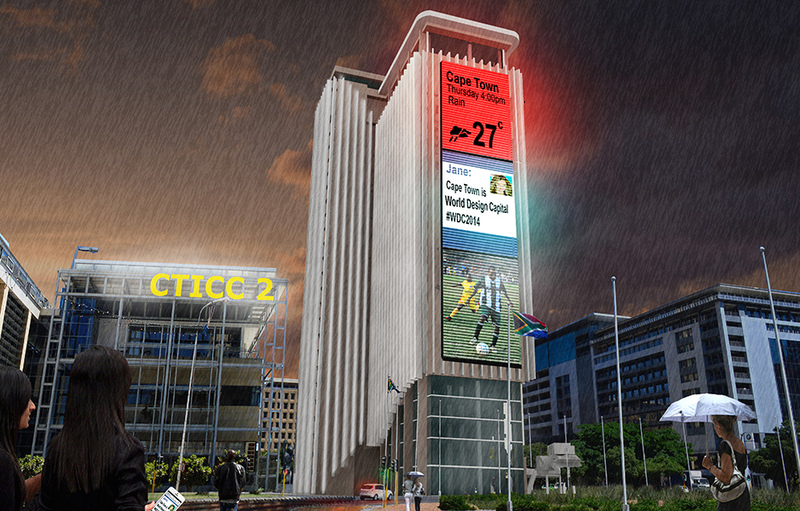 This was a design competition to reimagine the Naspers Centre, on Cape Town’s Foreshore. 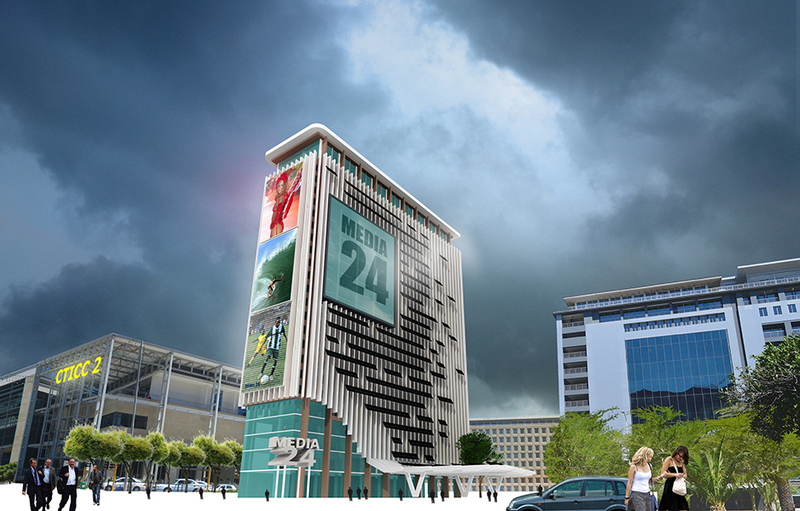 The competition called for proposals to redesign the façade of the building. Conceptually, the ‘canvas’ or ‘paper’ that wraps around the building is folded, stretched, snipped off, and shaped to highlight all the positive attributes of the current building in relation to its context. 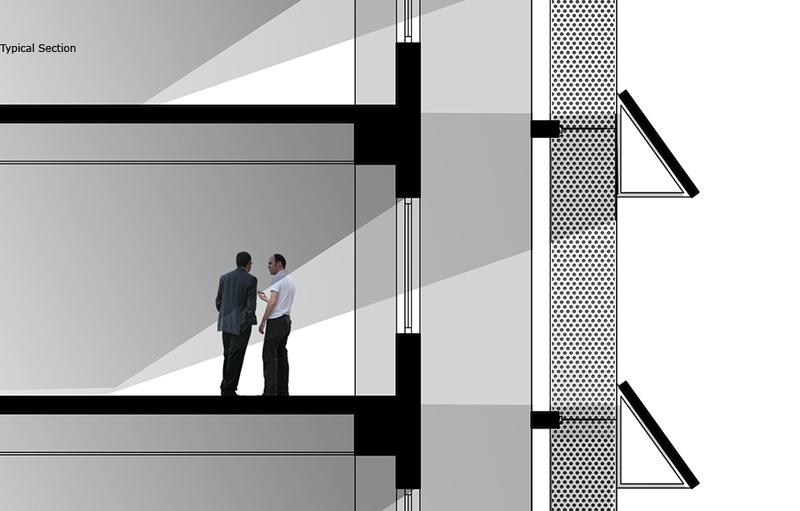 The building becomes a bold urban sculpture as it extends beyond the façade as a horizontal canopy at the building entrance. 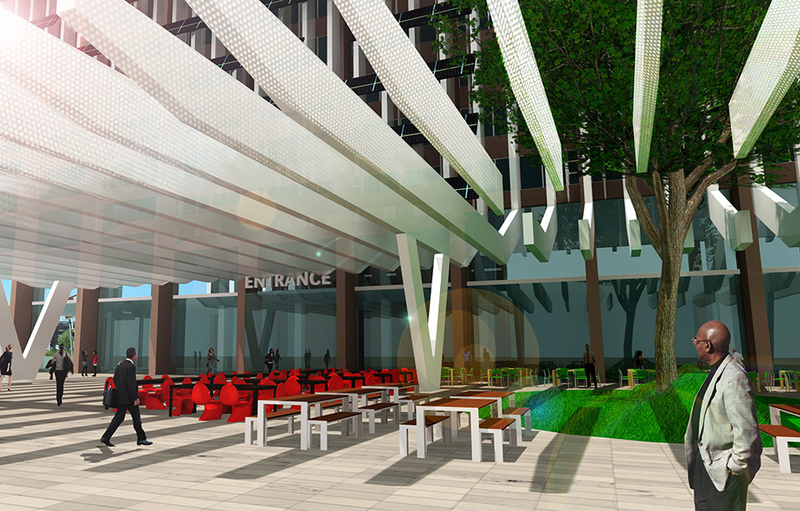 This creates a vibrant public square that contributes to the city’s urban fabric. 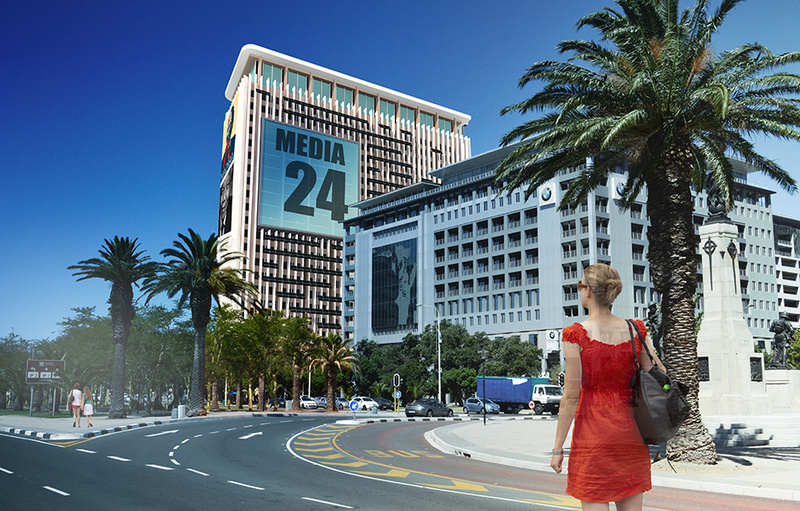 The visual hot spots are strategically placed elements on the canvas that reinforce the landmark location of the Media24 building within Cape Town foreshore’s new cultural precinct. 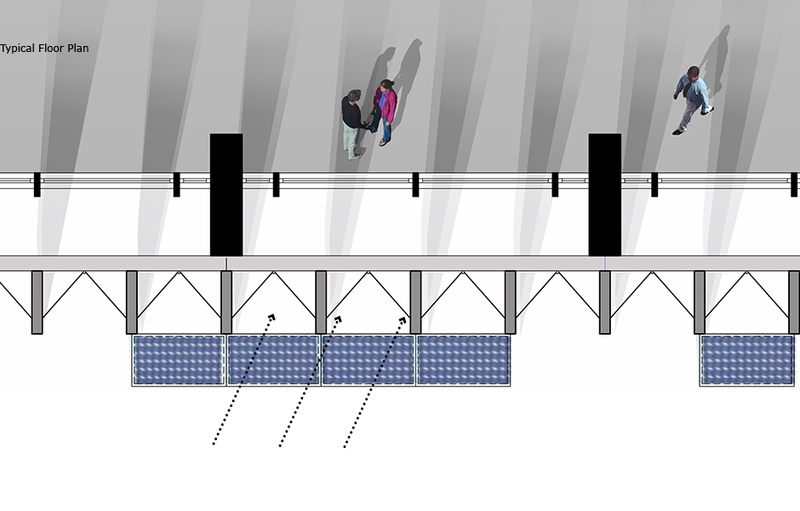 The façade’s outer layer is made up of solar panel arrays to power the digital billboards and to reduce overall energy consumption. 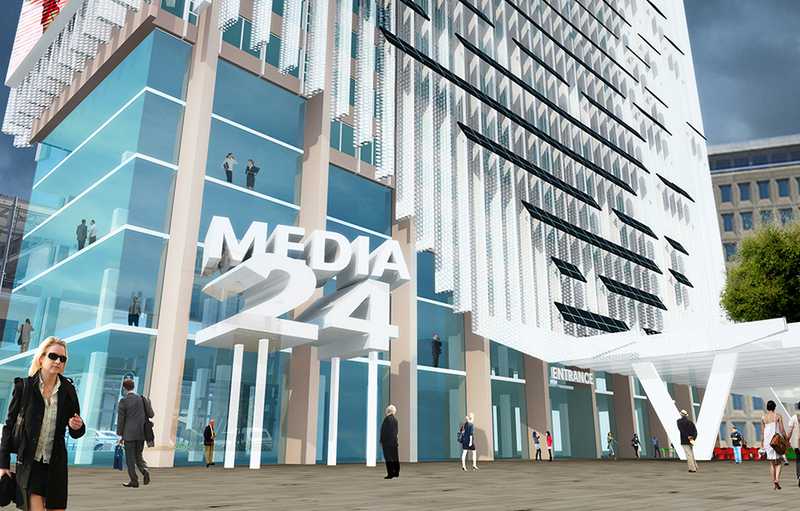 The solar panels are laid in a pixelated pattern to further symbolise the digital nature of new media communication, which is so integral to Media24’s brand and operation.